happiest of holiday weekends to each of you! beau headed to the cabin last night while i headed to school and late night meetings. today has been all about catch up and still more to go. staying in town one extra day has allowed me to do some regrouping, fold laundry, prep for my trip to kripalu on monday, and relish in some deep breaths. despite my best intentions to get completely caught up today, i'm slowing it down, acknowledging i'll never be fully caught up (there is always one more thing to handle, right? ), and am doing my best to savor the check off of the to-do list. while battling crazy allergies last night (boo!) i began reading hand wash cold: care instructions for an ordinary life by karen maezen miller. excited to read it over the weekend and watch for an upcoming interview with her later this summer. great messaging on finding bliss in your daily routine. it's a beautiful reminder that "where ever you go, there you are." - week 2 of tranquilista e-course: fun group! heading out to catch a train to meet up with beau shortly. one play day, one work day, then train to kripalu for the week. excited to indulge in some hammock time curled up with one of my new books this weekend. fireworks? well, we do have some sparklers and i intend to savor every last sparkle. wishing you a beautiful, tranquil, lovely weekend. may the second half of 2010 shine brightly for you. The 'then' photo is absolutely adorable :) Those quilts are vintage now! I used to crochet when I was a kid, they took forever to make. I am glad to see that you are working on something for teens. Its kind of a bummer to be interested in this kind of stuff and there not be anything out there for us. I apreciate it. PS. 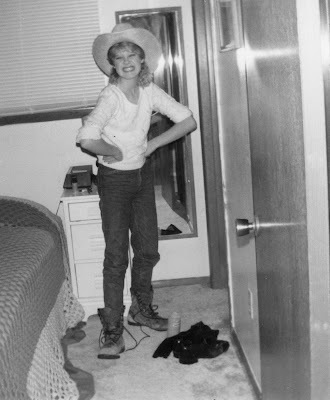 Love your podcasts any ideas on how a kid can make themselves feel pampered on a low budget? OMG both those photos are so cute!!! 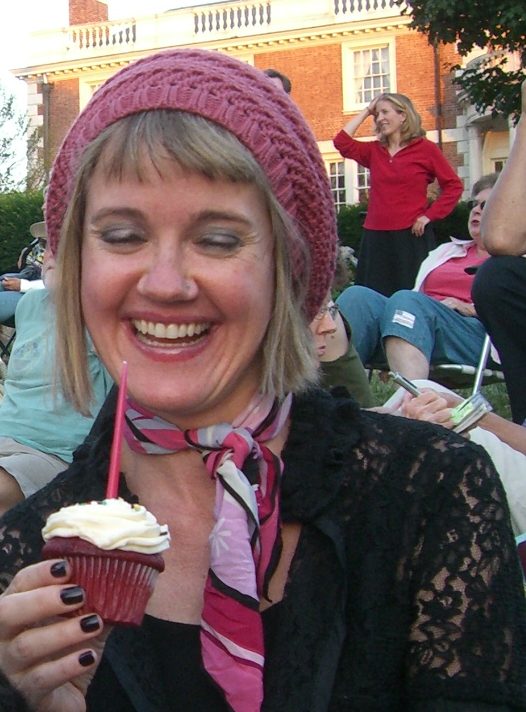 I adore your pink beret and that cupcake!!! Just wanted to say how amazing your podcasts are. I was recently diagnosed with PCOS and was struggling to deal with it. After taking up yoga and then listening to your podcasts...I am slowly making my way through them all...I have begun to accept my condition and learn to embrace all my other strengths. When I was first diagnosed, my creativity went out the window as I didnt feel happy or inspired to create. Listening to your podcasts and musings has proved to me how important keeping that creative streak going can be. Thankyou for being such an inspiration!